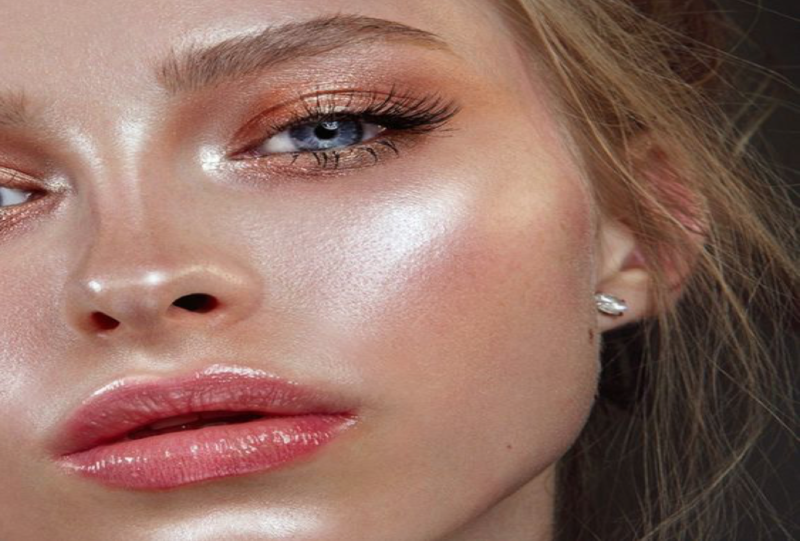 Now you must be wondering what exactly do I mean by ‘Yoga Skin?’ Here’s the breakdown of what exactly is ‘yoga skin’ and how you can achieve this simple look for an everyday glow. This trend is one that is set to take over this 2019. The meaning of ‘yoga skin’ is basically making your skin look super dewy and glowing giving the illusion as if you have done some major workout or spent long hours doing intense work and your skin becomes naturally dewy. 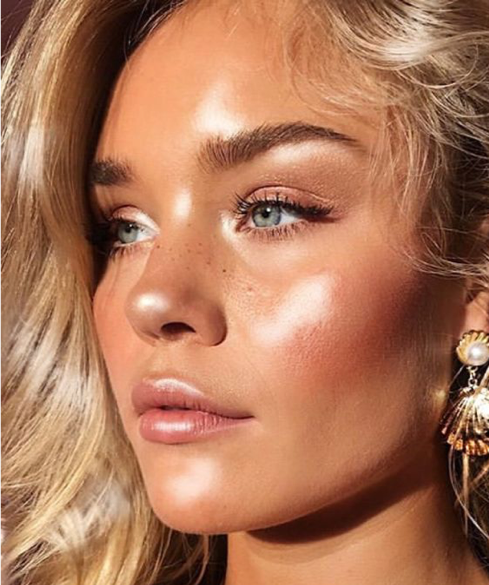 This concept of the ‘yoga skin’ was created by makeup artist Sara Hill and honestly, I am obsessed with this technique as the skin looks so natural and as you all know, I am all about the glow and dewy base! 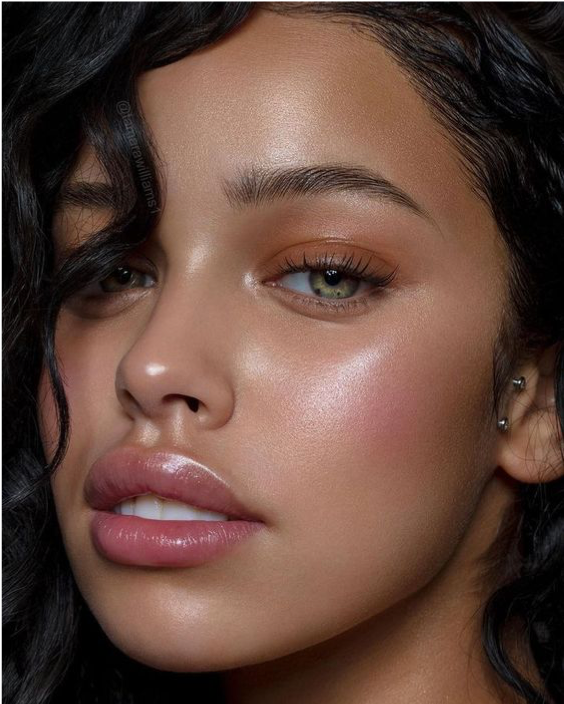 Sara Hill explains that this makeup look is all about making the skin look lit from within. Essentially, this look is about making your skin appear healthy, glowing, hydrated and natural! To achieve this look is very simple and all you need is only 4products: foundation, facial oil, strobing cream and liquid illuminator. Moisturise and prime your skin as usual and let all the products soak into your skin for about 2-3 minutes. All you have to do is take 3-4 pumps of your favourite liquid foundation (preferably a sheer coverage and water-based foundation) in the palm of your hand and add a 1 drop of oil, 1 drop of strobe cream or liquid highlighter and a final drop of illuminator into the foundation and rub your hands together and mix all the products. Your left with a dewy concoction and all you have to do now is massage this into the skin with your hands to boost circulation and get that natural, stunning finish to the skin! The final look is amazing and if you have flawless skin this enhances the look and texture of your skin perfectly. You must use a dewy, lightweight foundation as the silky formula will help spread the foundation evenly on your skin. However, I must this this look is pretty hard to pull off as not many of us have flawless skin and some have oily or combination skin so this look might not be good for you due to the excess oil and highlighter drops add to your skin. Furthermore, this look is beautiful for lightweight, everyday makeup but it may not last that long if you’ve got a busy day. So to solve these problems, I have some tips and trick which you can do to make this look work for you. If you want more coverage, after you have mixed and put all the products on your face, apply concealer underneath your eyes, around your nose and blemishes or any areas that you feel need more coverage and set these areas with a little translucent setting powder for that perfect finish. Use an eyeshadow blending brush when applying your concealer for a more natural and even finish and a fluffy brush for powder so it sets evenly and lightly everywhere. Do not over-do this step as this look is all about enhancing your natural skin and not masking it. If you have oily skin, emit the face oil and simply use highlighters instead. Use a mixture of cream and liquid highlighters with your foundation and spread that evenly with your fingers. Add a tiny amount of powder to areas that tend to get oily quicker such as your T-Zone and spray a generous amount of setting spray onto your face to keep the makeup in place. To finish the look, you can add a liquid bronzer if you like to contour your face or you can simply apply a cream blusher on the apples of your cheeks. It’s all about personal preference and how you feel comfortable to create this look. Finish the lips with a simple lip gloss or balm and voila! Your look is complete and you have achieved the ‘yoga skin’. Here are some images to show you how Yoga Skin looks like and below I will list different products you can use to achieve this beautiful, sheer and natural makeup look perfect for all skin tones!